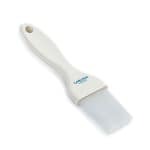 The Carlisle 4039002 Galaxy™ flat brush features tapered nylon bristles with a chisel-point trim that effectively covers product surfaces. 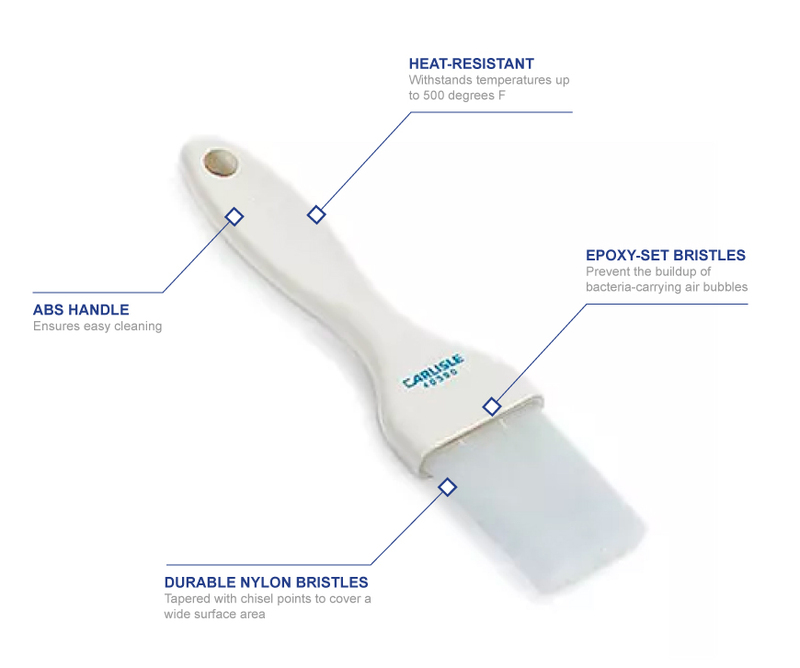 Its bristles are epoxy set in ferrules to reduce the buildup of bacteria-carrying air bubbles, and its one-piece ABS plastic handle can endure temperatures as high as 500 degrees Fahrenheit. The brush features a hanging hole on the end of its handle for storage.